The National Australia Bank is set to consolidate its offices and become the anchor tenant in Brookfield's $800 million Bourke Street project. NAB has signed a 12-year lease on Brookfield's 156 metre skyscraper as superannuation fund-backed ISPT agree to acquire a 50 per cent joint venture interest in the development. NAB will commit to 43,000 square metres of space at 405 Bourke Street, with options to take the remainder of the space to provide future flexibility. This new tenancy will build upon the bank’s current presence at 700 and 800 Bourke Street, and will also consolidate Melbourne offices at 500 Bourke Street, 8 Exhibition Street and 101 Collins Street, Melbourne. 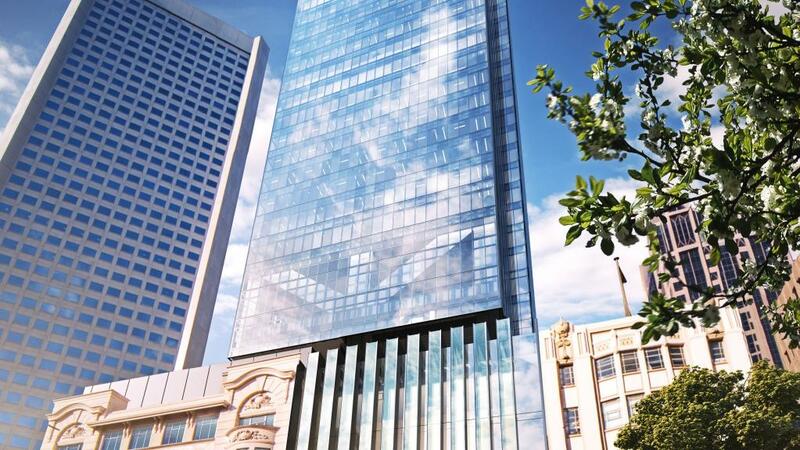 The 405 Bourke Street lease agreement follows the announcement that NAB’s Sydney employees will move into offices at Wynyard Place which is also being completed by Brookfield. “This new office location will help continue NAB’s focus on enhancing collaboration, flexible working and efficiency across our business to deliver a greater customer experience,” NAB chief technology and operations officer Patrick Wright said. Brookfield’s tower will comprise a total of 61,500 square metres of net lettable area over 28 office levels. The building’s layout will offer open-plan workspace ranging from 2,150 to 2,300 square metres. It is also aiming for a 5 Star GreenStar and 5 Star NABERS environmental performance.